PGCIL Recruitment 2018-2019 Apply Online Application Form for 06 Executive Trainee (Law) Posts Apply Online through Official website www.powergridindia.com. PGCIL Executive Trainee (Law) Jobs Notification 2018 Released. 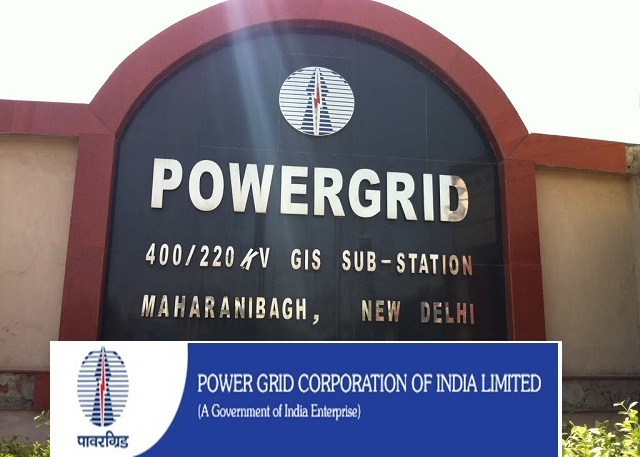 The Interested and Eligible Candidates are requested to apply online through Official website www.powergridindia.com. The last date for submission of Online applications is 31.03.2018. PGCIL Recruitment 2018-06 Executive Trainee (Law) - Apply Online. SC/ST/PwD/ Ex-SM/ Departmental candidates are exempted from payment of application fees. You are required to login to your candidate login section and then deposit non-refundable application fees of Rs. 500/- through online mode only. On submission of application fees, your application process will be treated as complete. Candidates are not required to send any hard copy of application to POWERGRID. In-complete applications / applications without application fees (if applicable) will be rejected. Candidates have to register themselves and appear for CLAT 2018 (applicable for admission to PG/ LLM Courses). Online Registration for CLAT 2018 shall close on 31st March 2018. Application window for POWERGRID shall be open from 1st May 2018 to 31st May 2018. Candidates have to register themselves online at POWERGRID website with details of their CLAT 2018 Application No., CLAT 2018 Control Number, CLAT Roll Number and other required information, which will be made available at CAREER>Job Opportunities section of www.powergridindia.com. Candidates will be required to retain their CLAT 2018 Admit card/Hall Ticket for verification at the time of GD/ Interview / Joining in POWERGRID. Group Discussion and Personal Interview are likely to be conducted in the months of July/ August 2018. Application window for POWERGRID shall be open from 1st May 2018 to 31st May 2018.